So, I meant to post this yesterday, but I never got around to it. I had a lab in the early part of the afternoon, the the KnoxWrimo’s Kick-off party was in the evening. Its all good though. The party was fun. There was more than double the number of people that showed up last year, and our ML’s have clearly worked very hard at putting events together this year. The Kingdom of Aiedria is divided into 15 provinces, excluding the capital province. Each province is governed by a Duke or Duchess, appointed by his/her predecessor, though the process is typically through heredity. Each province is then further broken up into regions, overseen by a Baron or Baroness. The fifteen Dukes and Duchesses make up the Council of Nobles, and advisory council to the Monarch. The council meets four times a year in the capital. In the event of an emergency, the Council may convene more often. The council comes together to vote on laws, the appointment of certain positions such as Admiral and General, and to vote on the declaration of war. For smaller issues, the Council does not need to convene for a vote; a written letter with a Declaration of Opinion will suffice. Though the Council has the ability to make decisions, the current Monarch reserves the right to overturn any decision made by Council members, though doing so is considered by the general populace as a very unpopular decision. Aiedria has a hereditary monarchy. Typically, the first child born to the reigning monarch will become successor, given the title of Prince/ss Royale. There is only ever one person with the title Prince/ss Royale. Any other child born to the reigning monarch is given the title Crown Prince/ss. Any child born to a Crown Prince/ss is simply referred to as Prince of Princess. Once the Prince/ss Royale has assumed the throne, his/her successor inherits the Royale title. If the new monarch has no children, the title goes to a younger sibling. The current Royal Family is the Aryagall line line from the coastal province of Blackwater. The line has held the throne for nearly four centuries and have had many popular rulers, including the late Queen Caiomhe, mother of Eirian, Gwenlyn, and Tiernan. Religion is relatively universal throughout the various countries in the setting. One deity is recognized, known as The Holy Mother. The church is built on a doctrine known as The Canon of Belief. Some Countries are known for being more religious than others. Aiedria is often considered to be quite religious, as its capital is home to the Mother Superioress. Leading the church is the Mother Superioress, referred to as Lady Superior. The Superioress keeps a council of fifteen, senior priestess, given the title Revered Mother. The head of a single church is a Prioress, and younger priestesses and initiates are referred to as Mother and Sister, respectively. The Cathedral of the Most Holy Mother, located in the heart of the Capital, is home to the Mother Superioress and the Revered Mothers. Several smaller churches are located throughout the city. Most mid-sized towns will have at least a small cathedral, and possibly one or two smaller churches, depending on size and population of the town. In many smaller towns and villages, documents chronicling birth, death, marriage, and so on are kept within the church. The Canon of Belief is the doctrine of the Church. It tells the story of The Holy Mother’s battles against the demons and their banishment to the Void. Thousands of years ago, the people lived in constant fear of demons. Attacks, possession, and slaughter were rampant as demons controlled much of the world. The fear was endless, until one day a woman appeared. Sword in one hand, staff in the other, She struck down the demons that crossed Her path. It didn’t take long before Her actions drew a crowd, and that crowd drew the attention of a demon lord. But when the demon lord tried to attack the assembled crowd, his magic could not reach them. Raising her sword, a great light seemed to shine from within the metal as deity and demon clashed. As the battle wore on, it drew the attention of evermore demons. But the people, inspired by the Woman’s act of bravery, took up their own weapons in Her defense. The battles went on for days, until the ground was stained with the demon’s tainted, blackened blood. When the last demon was slain, the Woman spoke again to the crowd, now countless in their number. “Lay down your weapons. No longer will you be tormented by these evil beings. From this day forth, you are my Children, and I shall fight for you always. I will drive the demons back, and into a place from which they cannot escape. A dark place, where their magic can harm no one but themselves. Once again, everything on here is subject to change once I actually start writing. These are just general ideas that I wanted to get down so that I don’t forget them. So, the Biology Exam From Hell is already graded. I made a 106. Pretty sure my jaw is still on the floor somewhere. I didn’t even know there were extra points on the test. I never even passed a Bio test the first time I tried to take the class. Anyway, on to NaNo. Still not sure if switching my NaNo project at the last minute was a good idea, but I think I’ll get a little bit farther with this plot than I would the first one. Still working on some of the characters, but I’ve got most of the major ones down. 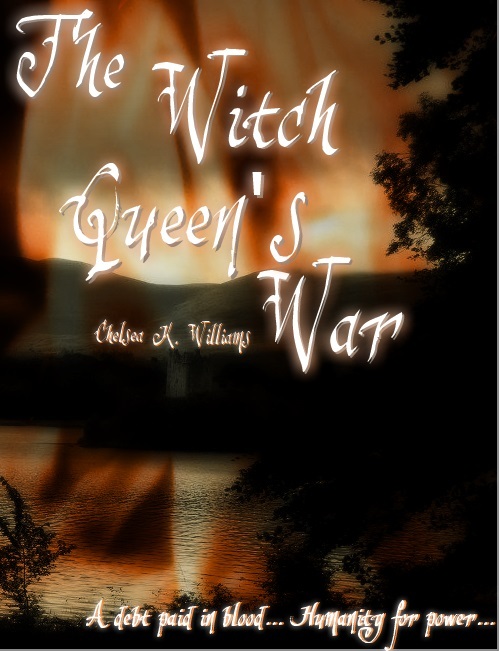 This is what I’ve spent the past hour or so working on: Magic in the World of the Witch Queen’s War. This isn’t everything, but I feel like it’s a pretty good start. I’ll be doing a few more things like this in the next few days. 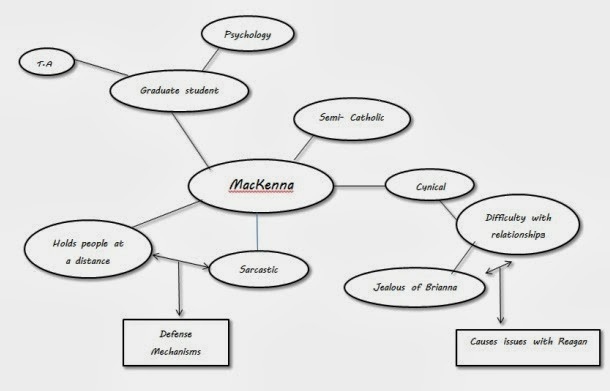 Things like theology/religion, military/politics and the like. This is my first real experience with world building, so it’s by no means perfect. Magic is split into two “types”. White magic: Most common type of magic. Fairly common throughout the setting. Involves potion making, some mastery over elements, and healing. Training in defensive abilities such as barriers is also common. Rarer abilities include shape shifting. All 10 Court Mages are white mages. Black magic: rarer type of magic. It is believed that for every 500 white mages born, only 5 black mages are born. In addition to the abilities of white magic, black magic includes psychic abilities such as telepathy and limited mind-control. Even most white mages are weary of black mages. Mages are trained in the capital at Anse Keep, a large castle close to the shores of Lake Anse on the outskirts of the city. They are mentored largely by a single senior Mage, though occasionally train in groups. Family is allowed, and encouraged, to visit on the weekends. Mages remain an apprentice for an average of two years before testing. After apprenticeship mages spend a minimum of two years studying advanced applications of magic. Many specialize in either a single element type or healing. Anse Keep trains in only “white magic” arts. Black mages are trained, but never in their mental/psychic abilities. Many black mages are viewed with suspicion by their peers, and often their seniors, as well. Anse Keep is over seen by a Headmaster/ Headmistress chosen from among the ranks of the Court Mages. After they complete a minimum of four years of training under a mentor, a mage is free to pursue their own interests. Many mages continue their training and take on apprentices outside of the keep. Some run apothecary’s, specializing in the creation of various potions and herbs. At any given time, the Royal Army employs numerous mages, both as offensive warriors and healers. Defensively trained mages are also employed to help fortify defensive and positions. The Navy has also been known to employ elemental mages in order to bring down enemy ships. The Royal Mounted Cavalry also utilizes mages, though mainly as healers. The Palace Guard includes mages in their ranks. A gifted team of healers is always on hand within the palace and the monarch’s entourage always includes at least one, usually two, healers. The Guard has also been known to use shapeshifters to aid in espionage activities. The Court Mages are an elite group of 10 mages tasked with various positions, delegated by the Monarch. Positions include: Oversight of Royal Healers, Adviser to Her Majesty, Adviser to the Palace Guard, Adviser to the Royal Navy, Adviser to the Royal Army, Headmaster/Headmistress of Anse Keep. Three other mages are appointed to the 10, serving as general advisers All Court Mages are white mages. Court Mages are appointed by the monarch, usually on the recommendations of other Mages. Age has no bearing on position: Skill level, past deeds, and political savvy are major factors. One reason that black mages are regarded with weariness, beyond fears of mind-control, is their apparent ability to attract demons. Demons, with their own psychic abilities, are drawn to the idea of humans with similar abilities. Demons must be invited into the physical world, so many appear to targets in their dreams, when the line between the physical world and the Abyss is blurred. Demons lure their targets with promises of power (stronger telepathy, clairvoyance, even the ability to control another person’s physical form) in return for a foothold into the physical world. Agreeing allows the demon into the mage’s mind. As the mage relies more and more on the power of the demon, more of the mages mind is given up to the demon, until the mage has given up all sanity to the demon. If left unchallenged, the demon can fully take control of the mages physical form. If a mage is found to have entered a deal with a demon, an exorcism becomes the last line of defense. Many humans are uncertain as to the true nature of an exorcism, having never seen on, usually basing everything they know no rumors and hear-say. Priestesses of The Holy Mother perform the exorcism through prayer. While the demon is often driven from its host, no exorcism is ever completely successful. The strain of having a demon invade their thoughts often leaves the mages minds shattered. Exorcism also has a high chance of rendering a mages powers unusable, though whether this is caused by the demon’s magic, or the ritual itself is unknown. Many mages who survive exorcisms have taken their own lives. Legends say that it is these broken souls who become new demons in the Abyss. So, the Biology Exam From Hell is over and done with, and now I can look ahead to November and work on fleshing out new characters. Yeah, I decided to go with a new project. I had one all planned out at the beginning of this month, and will probably still work on it, but I’ve decided to make this one my main goal for the month. This story has its roots in a project I originally started for CampNaNo, in June of last year, but ultimately scrapped due to time and lack of interest. After retooling the setting a bit, I’ve decided I’m going to use the characters in this new setting, since they never went anywhere last time. This is only the second time I’ve really dipped into the Fantasy genre, but I enjoyed it last year. But I think this year’s novel will have a stronger plot. I liked the characters from last year, and the setting was good, but it wasn’t the tightest plot. Okay, so it had a pretty loose plot. War is threatening the Kingdom of Inverna. The quick-tempered third child of the beloved Queen Caoimhe, Lady Eirian cared nothing for the royal court, preferring to devote her time to archery, magic, and the healing arts. At seventeen, with a cunning mind and a quick tongue, some wished to see Eirian as the Queen’s successor, rather than her sister the Crown Princess Gwenlyn. But Eirian’s powers earned her few friends. She is a Black Mage, feared for her abilities to control not only elements and healing like other mages, but minds and bodies, as well. It is not an unfounded fear: many Black Mages have sacrificed their blood to demons, giving mind, soul, and sanity in exchange for power. Years later, while tending to bureaucratic affairs in her families Province of Blackwater, Eirian is called home when Gwenlyn, now Queen, falls ill to a sickness no Healer can cure. To make matters worse, old enemies see the Queen’s sickness as the perfect time to launch an attack. With the kingdom on the verge of war and her sister’s health deteriorating, Eirian must navigate the poisonous waters of the Royal Court and find a cure for her estranged sister, all while attempting to stem the tide of war and avoiding the whispers of those suspicious of her powers. With the weight of a kingdom pressing down on her shoulders, Eirian’s resolve weakens. A demon’s power becomes a tempting promise. Can she survive the trials on her own? Or will she succumb to the burdens of her position and give in to the demon’s offers? Not too bad, at the moment, but I’ll probably go in and do some editing on it before the month is all said and done. Countdown to the start of NaNo is officially on. 30 Days. I’ve spent some time in the computer lab at school making notes on characters and working on profiles. Most of the character maps are already done, and I’m working on the profile sheets now. I do most of it at school, since I can use the printers there. And for those who aren’t aware of it, Evernote is invaluable when it comes to using work on multiple computers. You can save just about anything to it: documents, pictures, pdfs, or use it to type things out. I’ve got the app for it on my kindle and on my phone. This is the first year that I’ve ever really used character maps, but I think that they’ve been helpful. I don’t think I’ll use them much past the initial planning stage, but they’ve been useful when working on the profile sheets and are useful for at-a-glance stuff like dates. They’ve also helped me do more characterization work than I’ve ever had done by this point. Also, I plan on making my own character profile sheet at some point before NaNo starts. I’ve found several good ones online, but they either have too much information, or too little. Once I get it finished, I’ll post it to my deviantArt, and to the resource page on here.